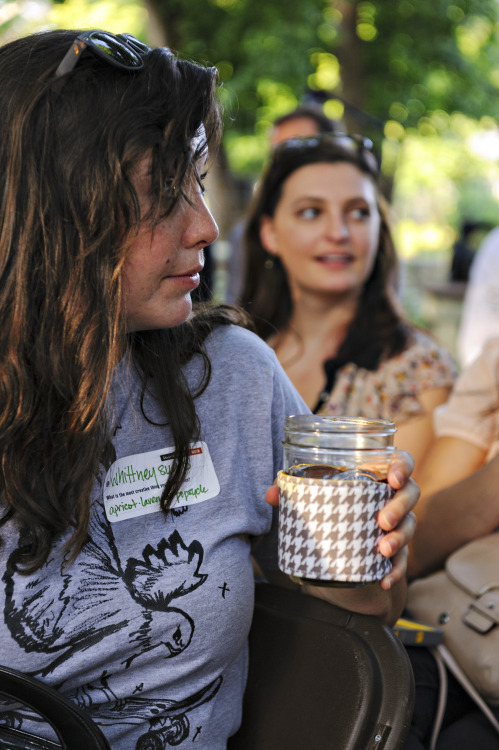 To stay up to date on upcoming ATX events, sign up for the local newsletter! 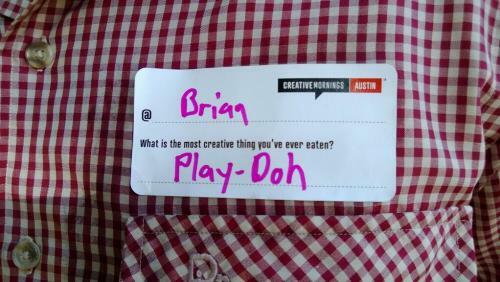 Richard Garriott at CreativeMornings/Austin from CreativeMornings/Austin on Vimeo. For this month’s theme of “Urbanism,” we’ll be joined by designer, strategist and inventor, Michael McDaniel. Michael McDaniel is a highly prized designer, strategist, and inventor whose work has been recognized with numerous design awards and patents and has been captured in a variety of publications.Michael has launched his own startup called Reaction, which strives to rapidly deliver housing to those in need post disaster. 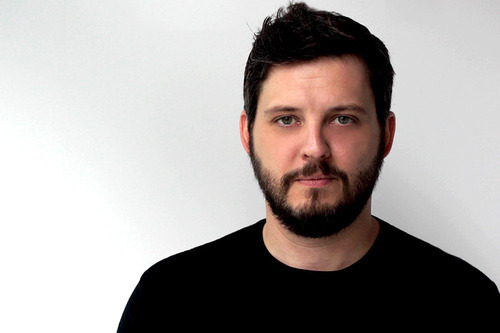 Michael is also a principal designer at the world-famous design and product consultancy frog design. At frog, Michael leads interdisciplinary teams to create a variety of new products and services for Fortune 100 clients including AT&T, Hewlett-Packard, Best Buy, Walt Disney, Comcast, Sharp, and MTV.You may also recognize Michael from his popular TEDxAustin talk and subsequent publicity around a new form of mass transit called The Wire, which adapts ski lift technology for use as urban circulators. This month’s event will be held in Austin’s City Council Chambers, inside City Hall. Parking is available at nearby garages, and limited street parking is available. There will not be any special validation or rates for parking, however. TICKETSTickets for this event will become available on Monday, August 12 at 11am. Please note that this event will be held on a Tuesday morning, NOT our usual Friday morning. Make sure you’re on our mailing list for future event announcements. 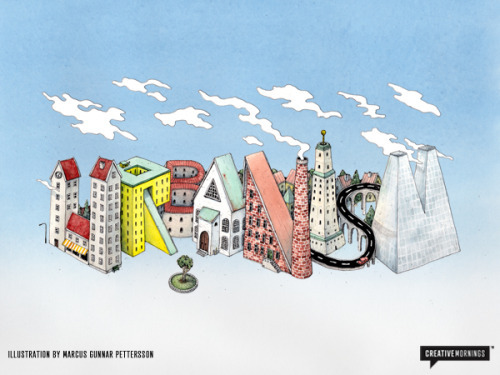 Last month, 55 CreativeMornings chapters came together for a global conversation around the topic of “Space.” This August, we’re excited to announce our next theme: “Urbanism.” The theme was chosen by our Stockholm organizer Richard Feigin and skilled Stockholm-based illustrator Marcus Gunnar Pettersson created our monthly illustration. Speakers are delving into all aspects of urbanism and how we interact with our built environment: such as George and Sarah Aye of Greater Good Studio, who use design to solve social problems (Chicago), to Adam Gebrián, well-known “architect who never built anything” (Prague). From collecting a city’s stories to building collaborative ecosystems, talks from this month will make you think hard about the city you inhabit and the role you play. 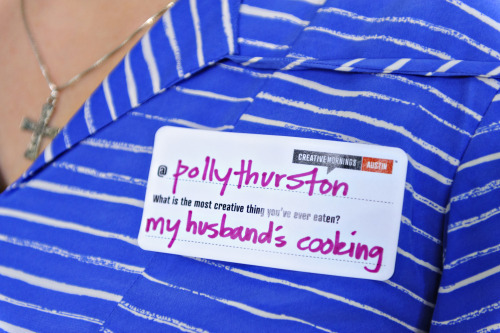 To find an August event near you, check out creativemornings.com, or follow your local chapter on Twitter. As always, tickets are free and available starting the Monday before the talk. 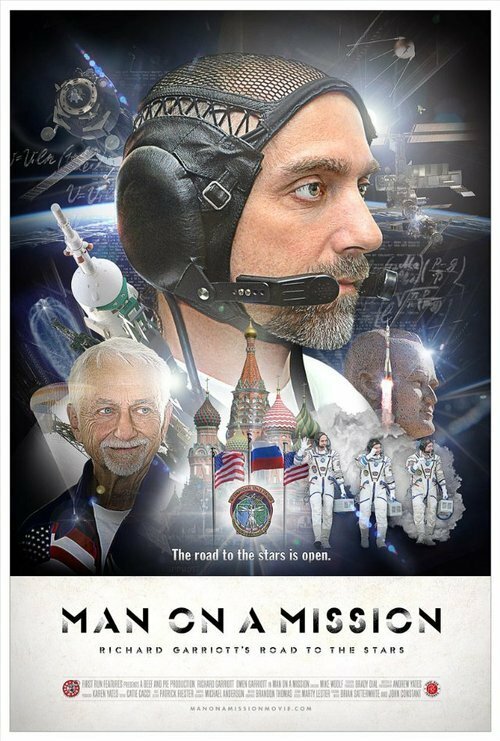 If you want to know more about speaker Richard Garriott’s quest to go to space, watch the great documentary “Man on a Misson” on YouTube, iTunes, Amazon, Netflix, or buy the DVD at http://firstrunfeatures.com/manonamissiondvd. Our musical guest Matt McCloskey is brutally honest about the fears of putting your creative work out in the world in this trailer for Reason To Bleed - a documentary about making art and living with the consequences. 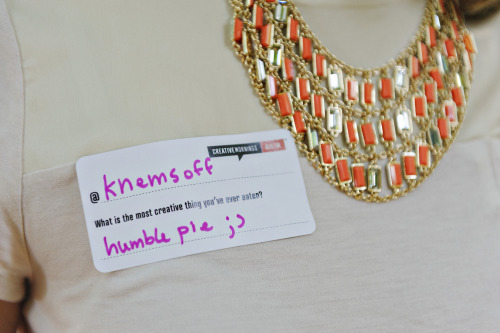 Sonya Coté at CreativeMornings/Austin from CreativeMornings/Austin on Vimeo. 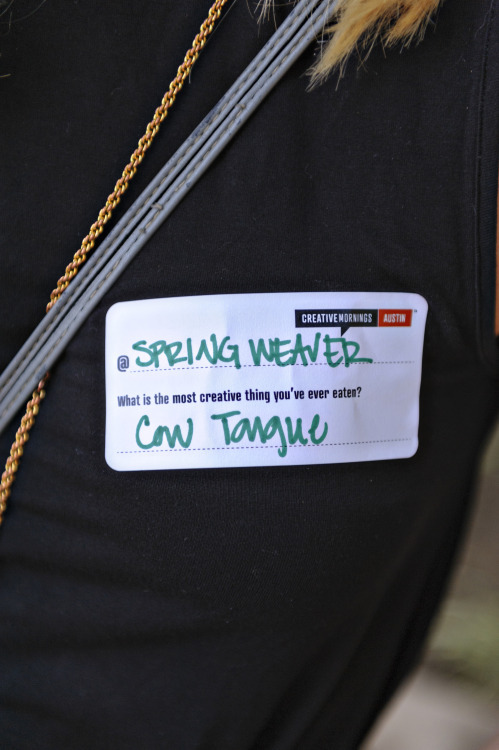 We hope you got tickets for this week’s CreativeMornings/Austin talk (the went in less than 1 minute!). If you didn’t be sure to get on the waiting list—we should be releasing more tickets as the day gets closer. In the meantime, we wanted to introduce this week’s musical guest, Matt McCloskey. 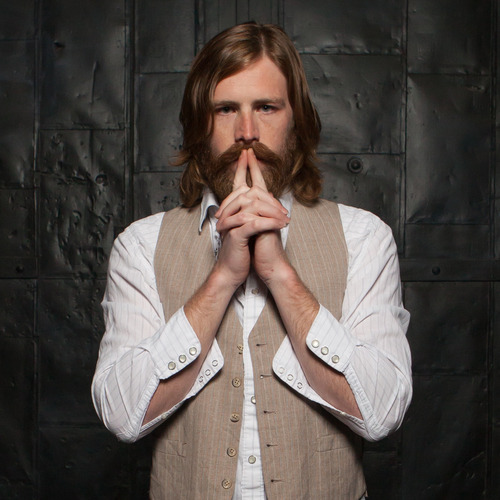 He’s a great local singer/songwriter, a friend of the CM team and a pretty talented web developer). Before the event, we’ll also get a preview of the new documentary from Steven Bush, Reason to Bleed featuring Matt, which premieres next month. 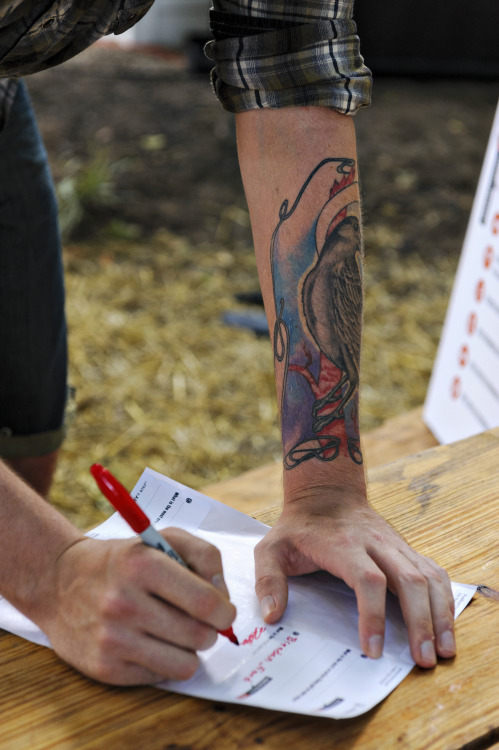 August 27th: Reason to Bleed documentary premiere at the Violet Crown Theater. Tickets on sale now. If you got a ticket for the Man on a Mission screening tonight, we’ll see you there. If not, see you bright and early on Thursday! 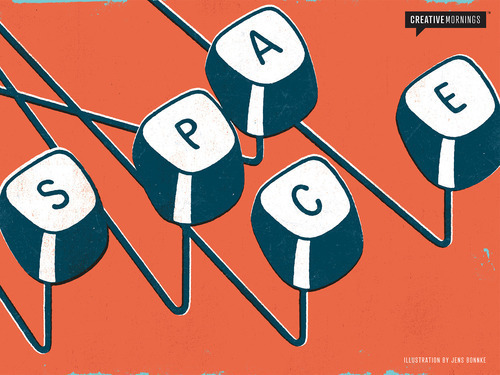 We’ve got two great CM events coming up next week, starting Monday night. 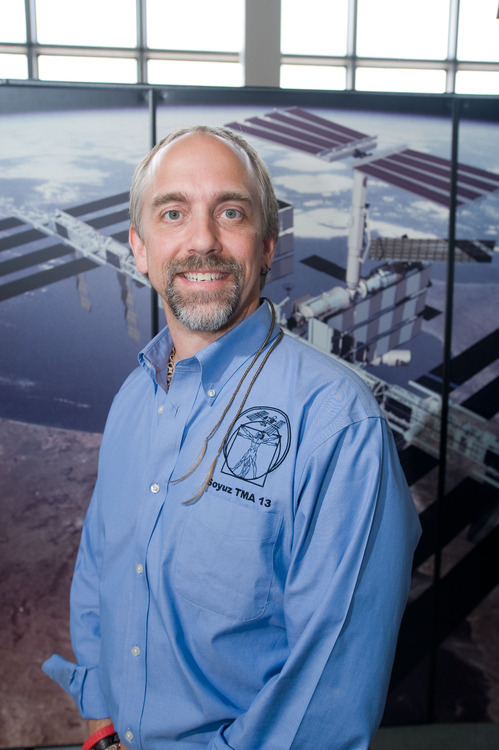 Learn about Richard Garriott’s journey to space before his CreativeMornings talk. Join us for a special screening of Man on a Mission followed by Q&A with director Mike Woolf. Attendees to this event will automatically receive tickets for Richard Garriott’s talk on Thursday morning, July 25th, and will not need to register twice! Richard Garriott is a well-known video game designer, entrepreneur, and astronaut. In 2008, he made history by becoming the first second-generation American in space, following his father, NASA astronaut Owen Garriott. Richard achieved great success through his founding of multiple entertainment software companies, earning him honors such as Inc. magazine’s Entrepreneur of the Year and Computer Gaming World’s 15 Most Influential Industry Players. From this success, he was able to attain his lifelong dream and travel to the International Space Station aboard the Russian Soyuz TMA-13 spacecraft, making him only the 6th private citizen ever to do so. His journey was captured in a 2010 documentary, Man on a Mission: Richard Garriott’s Road to the Stars. Richard is known in Austin for hosting the Austin Shakespeare Festival in the Shakespeare Globe replica he built on his estate. He’s also involved with many philanthropies like the Wild Basin Preserve and Bat Conservation International.